On hand to lead the meeting was Dr. Mary Thoesen Coleman, Dean of Ross University School of Medicine, and newly appointed Director of Clinical Education, Dr. Desiree Cox. The doctors explained the history of the university, how it will operate in Grand Bahama, and the academic level of the students who will be starting at the new campus in January. Each doctor, upon signing in for the meeting, was asked to specify whether they’d be interested in becoming part of the Clinical Education Partnership, whereupon they’d be agreeing (if eligible) to assist in the practical clinical education of Ross students. This programme will provide third and fourth semester students the opportunity of a basic clinical experience involving one half day, three times per semester, at a local clinic or doctor’s office. During a typical half day, the medical student would be introduced to the patient by the doctor; be allowed to interview, examine and obtain history of present illness; examine the patient (applying only those skills they have been taught); present the patient to the attending physician; write up the history and physical; and obtain feedback on the presentation and the write up from the attending physician. The doctors would then be required to provide evaluations of the students to the university. By participating in this educational partnership the local medical community would benefit by being able to subscribe to an evidence based medicine database for clinical practice as determined by Ross University; have access to local and online faculty development activities sponsored by Ross; participate in Ross faculty development sessions; participate in Ross clinical teleconferences; and be able to participate in simulation workshops and have access to recorded step one USMLE review courses. 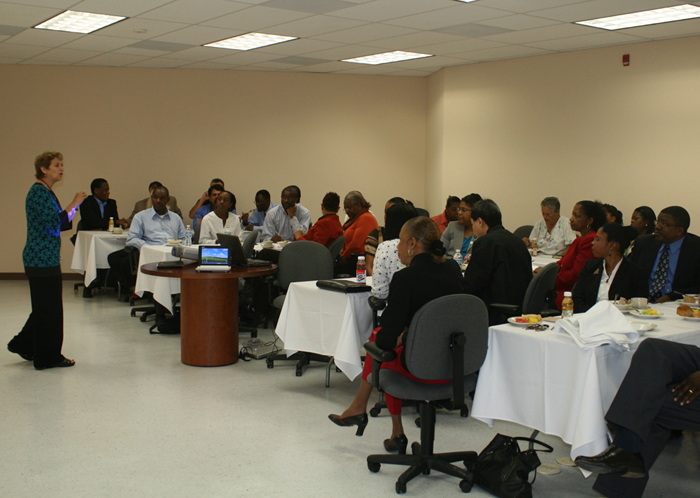 After hearing about the Clinical Education Partnership, the floor was opened for questions and feedback, and members of the local medical community where asked to suggest ways in which Ross University might support and further facilitate medical education on Grand Bahama. “We were very pleased with the number of physicians and health care professionals that attended the meeting and shared ideas about how Ross and the community can work together. 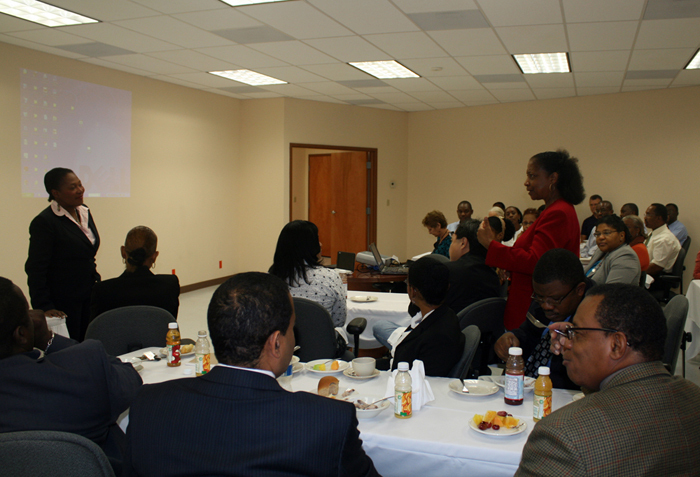 It was wonderful to have the opportunity to begin a dialogue,” Dr. Thoesen Coleman commented after the meeting. At the end of the session, Robert Moore, director of the university’s Simulation Center presented information on the patient simulators which will be used by the students for training, and will also available for use by participating doctors of the programme. Ross University looks forward to a creating an outstanding learning experience for their medical students and know they can only do so through the support of the Bahamian physicians. The relationship will enhance the professional growth of participating physicians, as well has the potential to improve the health and medical care system of the island. 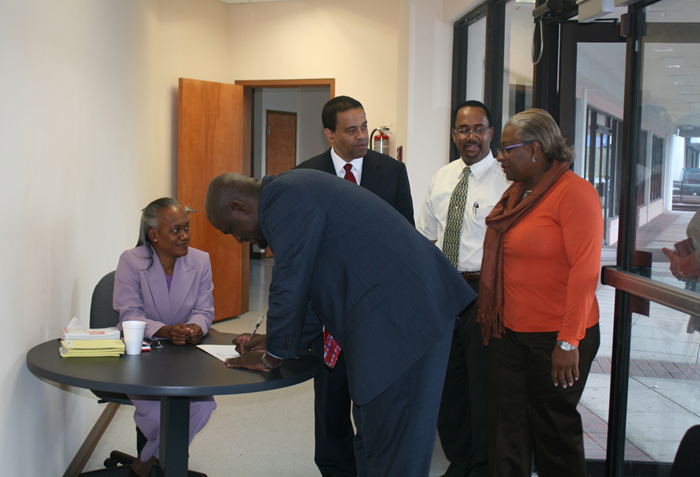 “'This is a significant moment in the history of Grand Bahama. We look forward to a long and fruitful working relationship between the university and the medical community on Grand Bahama. 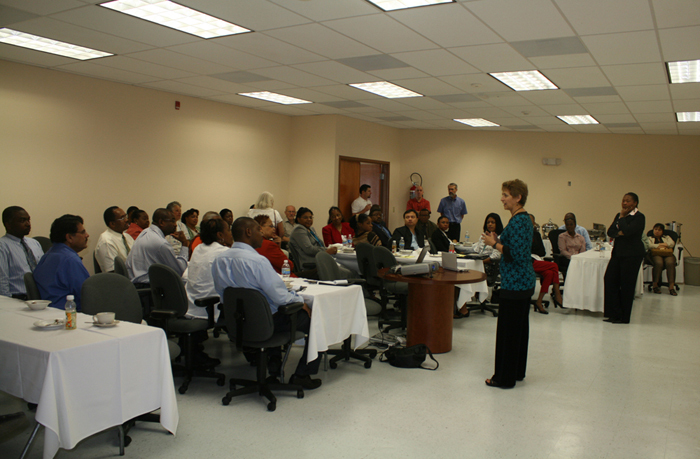 What we do now and how we work together in the future will impact both pre-clinical and tertiary medical education on this island, and, possibly the educational development of the next generation of health care professionals in The Bahamas,” said Dr. Cox.